We're turning our whole blog RED!! In case you missed it, Red City Review called Frizzy, the S.A.D. 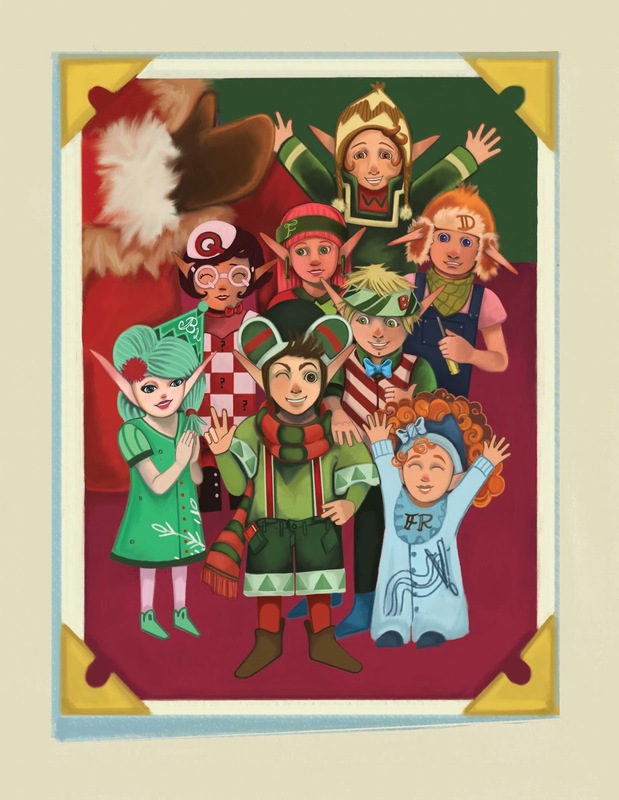 Elf a "highly original and wonderfully developed children's book". They also named Frizzy, the S.A.D. 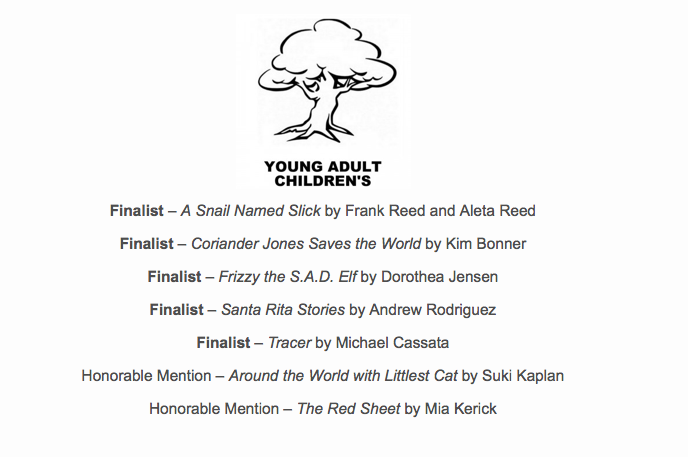 Elf a finalist in the first ever Red City Review Book Award competition! Here is our portrait again. We're putting it in just so we can see how it looks with a RED background! WE THINK THIS LOOKS GREAT!!!! So we just kept loading and re-loading the blog with the Red City Review review until finally it looks ok (we think). The problem is that we don't know what the problem WAS or what we did that FIXED it. We have redone the last couple of posts because they were showing up superimposed on each other and unreadable. We hope this has solved the problem! Rats! Our latest blogs are still looking VERY STRANGE. If anyone other there knows how to fix this, please contact us at elfenterprisesllc@gmail.com. We love working the internet but we hate dealing with these mysterious glitches. Don't you???? 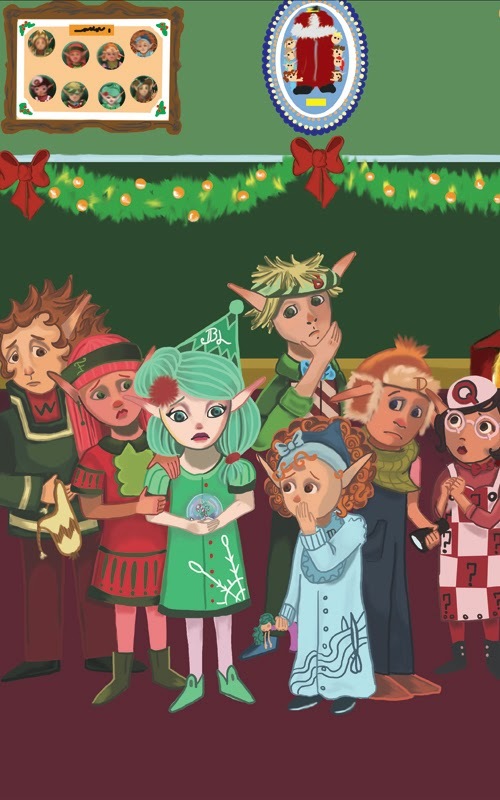 The Very Frustrated Izzy Elves. Look at that HUGE number!!!! We Izzies are quite stunned at how many times people have looked at our blog. THANK YOU! P.S. Don't forget to enter our giveaway of 10 downloads of Frizzy's audiobook. 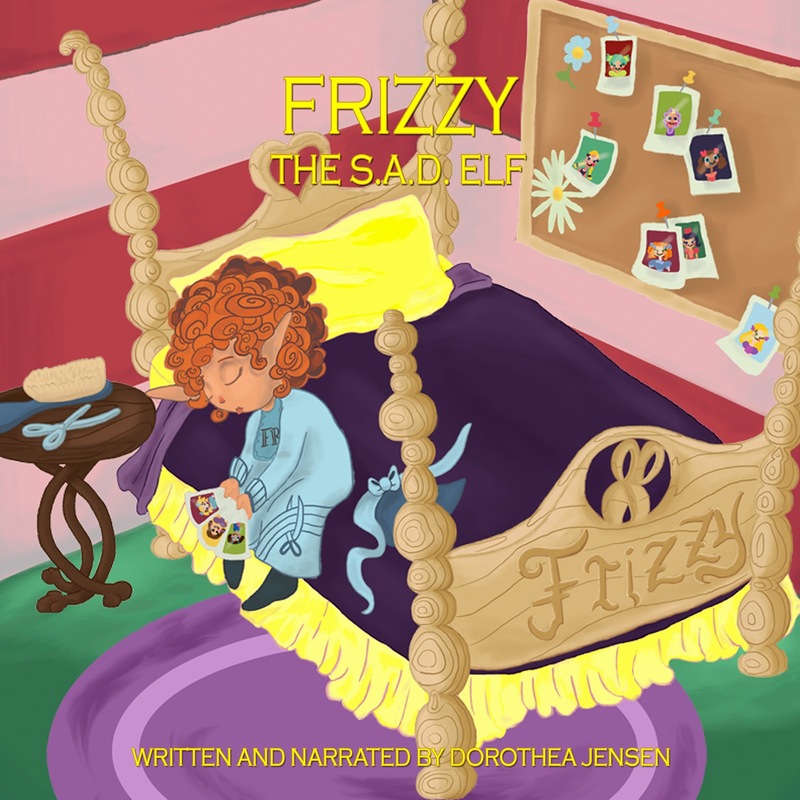 Just send an e-mail to us at elfenterprisesllc@gmail.com with "Frizzy Audiobook Giveaway" in the subject slot, with your name and the e-mail address where you would like the download instructions to be sent if you are a winner. Learn more about us Izzies at our website: izzyelves.com. So we Izzies have been kicking around ideas (not so easy to do in pointy shoes) for how to give away 10 downloads of the audiobook of Frizzy, the S.A.D. Elf from Audible.com. 1. Anyone who wants to enter a drawing to win one of these downloads should send an e-mail to us at elfenterprisesllc@gmail.com before November 15, 2014. 2. Please put Frizzy Audiobook Giveaway as the Subject. 3. In the e-mail, please put your name and the e-mail address to which you would like notification/instructions for downloading the Frizzy, the S.A.D. Elf audiobook to be sent if you are a winner. 4. We will print out all the e-mail entries and put them into Something Large (Santa's Pack, or even his Sleigh, if there are too many entries to fit in anything else). We know this is deplorably low-tech for the 21C, but this is our first try at a giveaway, and that's all we can manage right now.